Aabco Auto Glass, based in Daytona Beach, FL provides reliable glass replacement and repair services for customers in Daytona Beach, Deltona, Daytona, Palm Coast, Edge Water, New Smyrna, Bunnell, Osteen Crescent City, Orange City, Debary and Paisley. We are the glass replacement specialists that come to you. Our mobile technicians can come to your home or place of business to service all types of auto glass, including windshields, door windows, mirrors and rear glass panels. Same-day auto glass service available when scheduled before 10 a.m.
Aabco Auto Glass is a locally owned company with more than 15 years of experience in the industry. 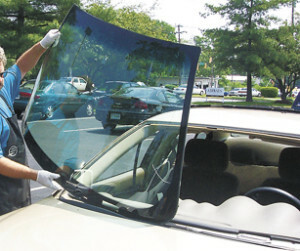 Same-day glass replacement service is available. All of our fixed-glass installations include a lifetime guarantee, thus ensuring your complete satisfaction. Our staff will be happy to handle all paperwork and process for your glass replacement insurance claims. We use high-quality products from Guardian, Carlite, PPG and LOF. We will also provide glass from original equipment manufacturers upon request. Glass replacement service is available for private and commercial vehicles, including vans, trucks, construction equipment and more. We welcome fleet accounts. Our friendly staff is able to answer any questions or concerns that you may have about auto glass products and our glass replacement services. Contact Aabco Auto Glass in Daytona Beach, FL today at 386-734-6316 for a free estimate or to schedule your auto glass mobile service appointment.